My partner, who like me is a 2Degrees Pay Monthly customer, got an email from 2Degrees today, offering her a data SIM which will be loaded every month with 200 MB of data. The data doesn't carry over, but the 200 MB per month is good for the life of your Pay Monthly account. I didn't get the email, so just phoned to see if it was for selected subscribers or anyone on Pay Monthly. I'm told the latter. An extra 200 MB of data's a pretty good anti-churn measure, and of course you can still put that SIM on shared data for when you run out of the 200 MB. To grab the deal, you have to visit a 2Degrees Store with proof of being on Pay Monthly. Nice one 2D. I'll be snapping one up to put in the iPad Mini. Much better than offering free wifi IMO. The Telecom Wi-F doesn't seem overly useful to me because it is only available where there's am enabled phone box. I don't specifically go somewhere to use the internet, so bigger data plans appeal more to me because I can use the data on the move. So far, the only benefit of Telecom's free Wi-Fi for customers that I've experienced (freeloading the access off friends with Telecom accounts) is just when I've been away from home Wi-Fi for a while, like when I'm travelling. Nice move 2degrees, although I'm on Prepay, so what I'm hoping for is some competition between the telcos when 4G is released to up the data on $19 combos. I see those hotspots all the time, there are about 1000 of them around the country , and going to be in Auckland train and bus stations. 200MB 'free' a month is nice for an ipad with occasional email use or something, but it seems like a fairly token offering. For that level of use you can always tether anyway, so it seems a bit 'meh' to me. With the wifi hotspots, you get 30GB/month - that's actually a useful amount of data over and above your 1-2GB normal plan. 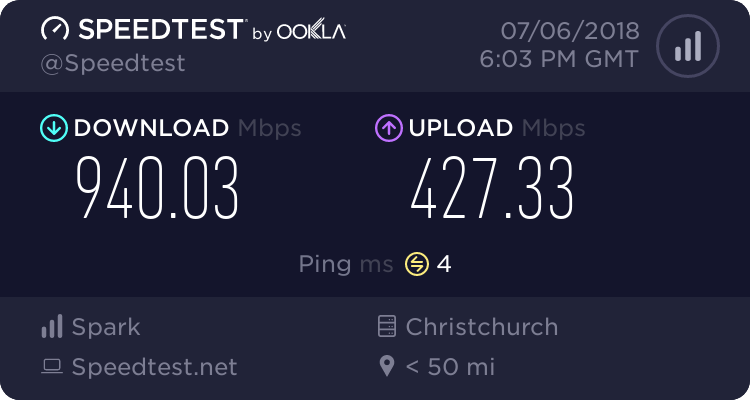 I've used for streaming youtube in HD just fine - something that would have eaten up far too much of my mobile plan - even with an extra 200MB per month. What's blocked? I have never had a problem accessing stuff I want to do, but then I don't generally try and access pr0n etc on public wifi. what do you mean by 'real chance' of MITM? 1%? 50%? 1 in a million? Well I know that there are people actively impersonating airport wifi on the routes into a recent Las Vegas convention and sucking up open imap details to use. Only a matter of time before someone parks up outside a train station with a wifi pineapple and gets all that sort of stuff off users that are using an isp dumb enough to still allow non ssl access. And I was unable to open a pptp vpn over telecom wifi when I last tried. As this offer needs to be redeemed at a local 2Degrees store, I called into the 2D branch at Link Drive, Wairau Park yesterday at 10am. The store was closed with no opening hours displayed. The sole contact number shown on the 2D site is an individual's 021 number with no mention of 2Degrees. They never got back to me. I then called the Takapuna branch that I assumed would surely be open on Saturday morning. No answer and went to a voicemail box that claimed "it wasn't setup". From this experience, I have to wonder what's happening at 2Degrees retail level. It doesn't look good. Maybe these people need their cages rattled? Am I right in that a data sim is essentially a prepay microsim? It has it's own phone number and I can top it up with credit and make phone calls and send texts? Spong: As this offer needs to be redeemed at a local 2Degrees store, I called into the 2D branch at Link Drive, Wairau Park yesterday at 10am. The store was closed with no opening hours displayed. The sole contact number shown on the 2D site is an individual's 021 number with no mention of 2Degrees. They never got back to me. Over the years I've occasionally had to call Telecom and Vodafone retail stores and they don't answer the phone 95% of the time. Dropped into my local branch at Wairau Park today and got my free data SIM after handing over a copy of the email I received. When I got back home, I found that there was no data or credit loaded of any kind. I called 2Degrees and was told it takes 24-48 hours for the new SIM to be linked to my existing account. Here's hoping it does. It's advertised as 200MB per month for life as long as you remain an account customer, so I doubt you'd need to top up. I was also told it can be linked as a shared data SIM. I picked up mine from the Johnsonville store yesterday afternoon. Got around to popping it in a device this morning, and the data was already there. I doubt you'd have to top it up. I've had a data sim in my iPad for over a year. I use it with shared data and have never applied any credit to it at all.